Being more of a coder and UI designer doesn’t leave me with as much time to paint and draw as I’d like to these days. Don’t get me wrong, I love designing layouts and interfaces… but sometimes I just want to sketch a dog, paint a fantasy scene, or try to draw something I saw in a dream. I try to do quick still life sketches as often as I can to keep myself sharp. 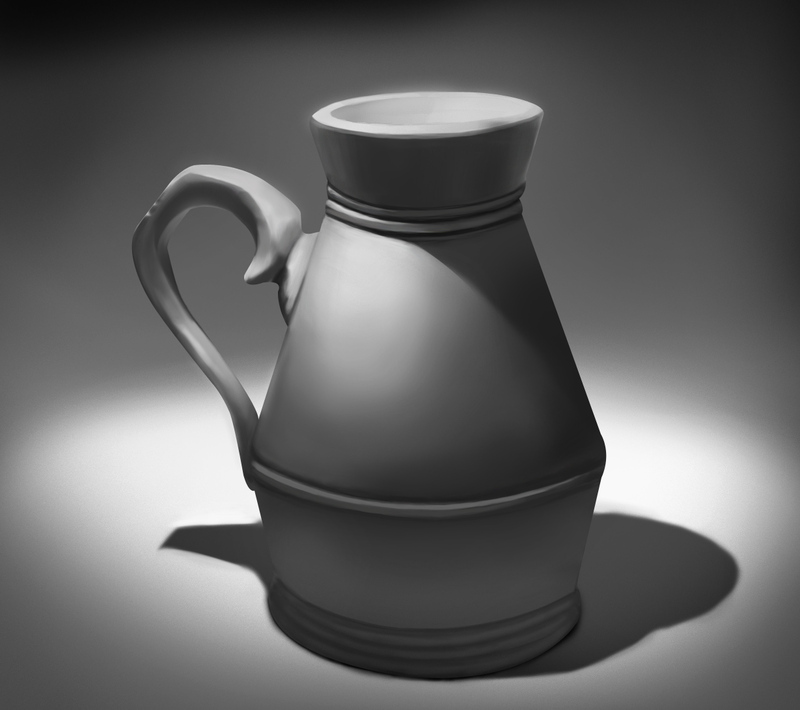 The photo reference came from ctrlpaint (which is a FANTASTIC painting resource for aspiring digital artists). It took me about 3 hours after laying down the sketch to get the shadows and light down, then refine them to make things look a little more realistic. Honestly I probably could have spent a lot more time refining and polishing as I am a relatively slower worker compared to most people I follow, but my goal is to work quickly so that I can learn to paint faster and faster with more accuracy.